Schwarz, Peter [Petrus Niger]. Contra perfidos Judaeos de conditionibus veri Messiae. 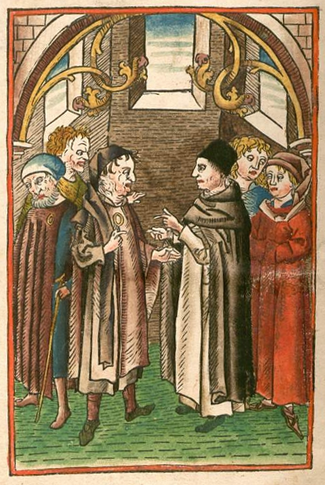 Esslingen: Conrad Fyner, 20 December 1477. Provenance: British Museum. — Morris. — Richard Bennett. — Sotheby 1898, lot 690 (sold to Henry Wellcome for £8). — Henry Wellcome. — Wellcome Library (Closed stores EPB Incunabula 4.a.5 (SR)). References: Ellis valuation, fol. 7b, no. 87 (£8). — Poynter, no. 537.